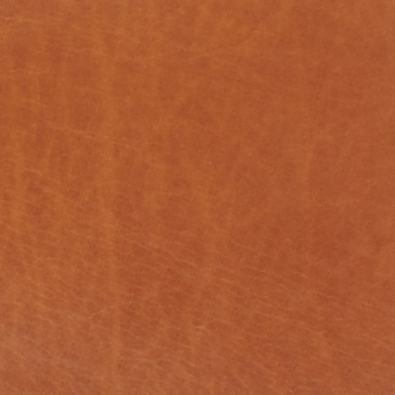 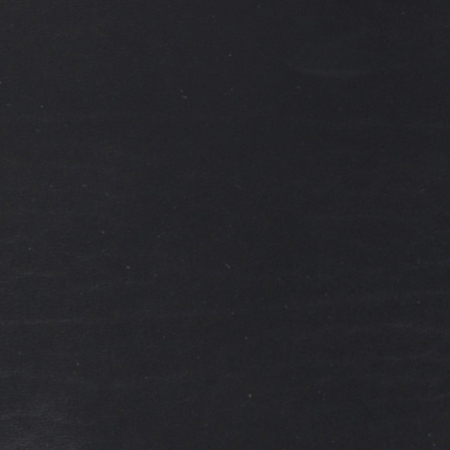 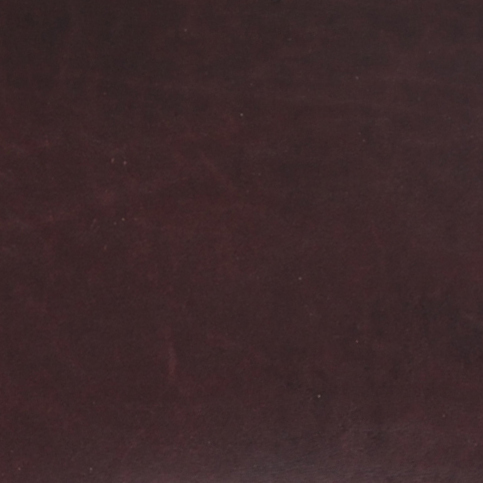 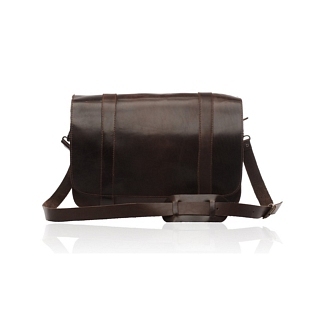 Dressed in fine calfskin leather, the MAIL dark brown looks as if it had been forged a century before. 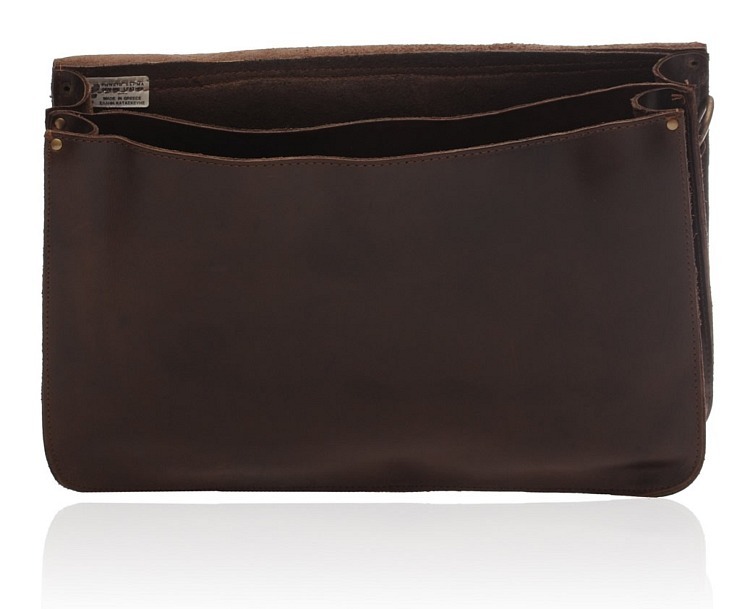 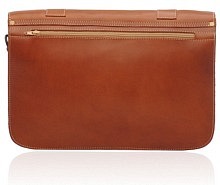 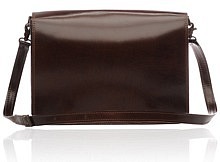 However, the glossy dark brown finish sets it apart from other standard dark brown bags, providing a very nice outlook. 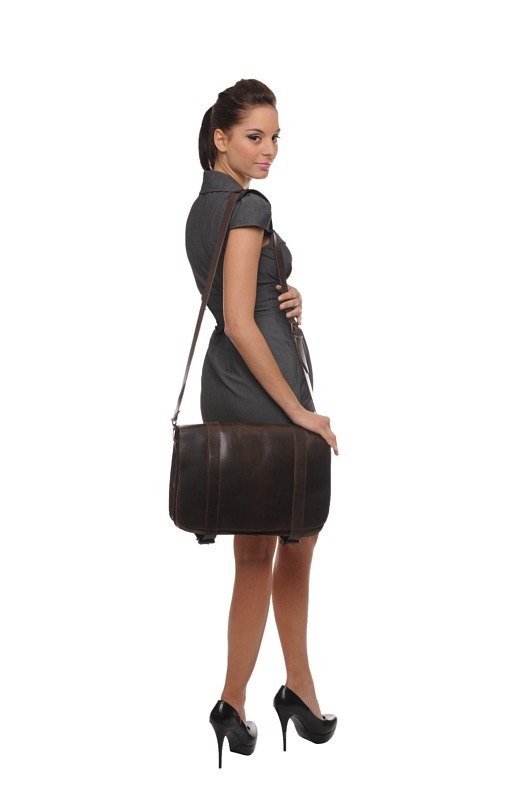 It locks with two buckles underneath the bag, and also comes with its own shoulder strap. 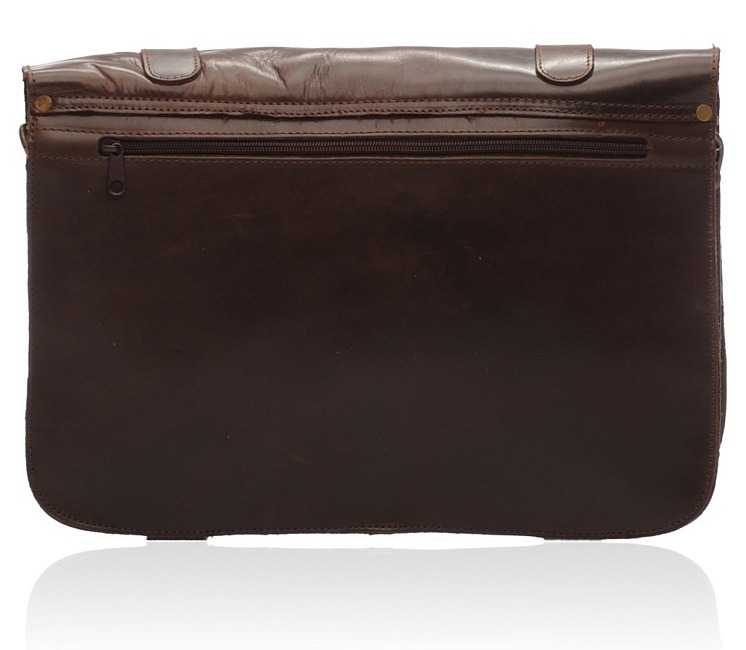 There are two plain compartments located inside, providing substantial space for the average person. 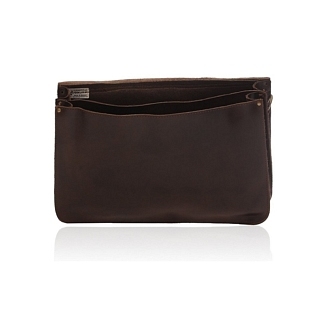 A narrow zipped pocket is located on the backwards exterior of the bag. 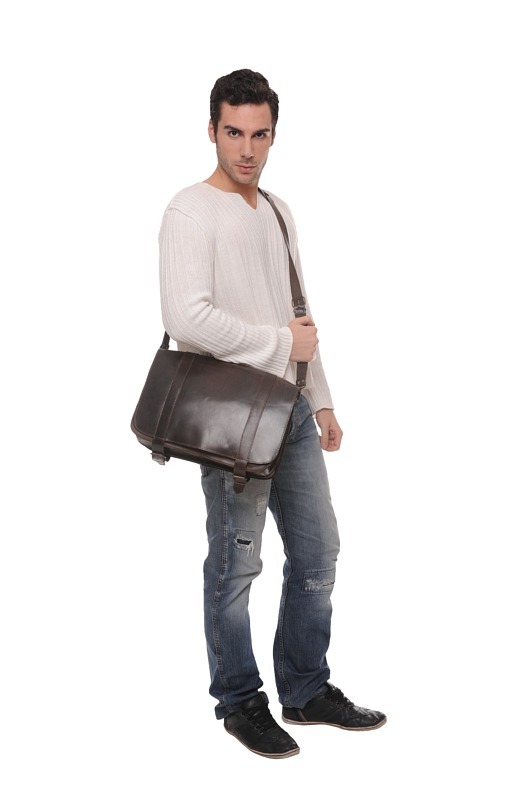 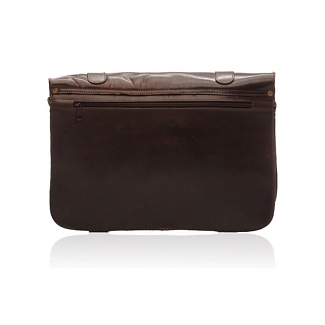 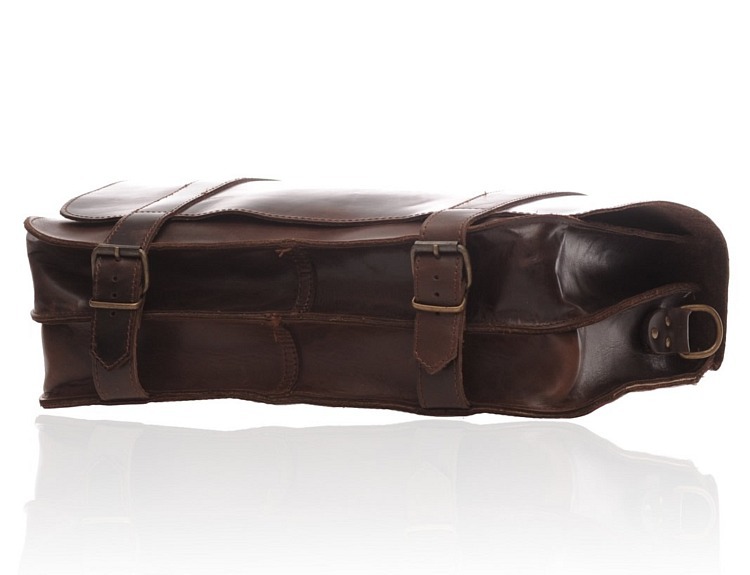 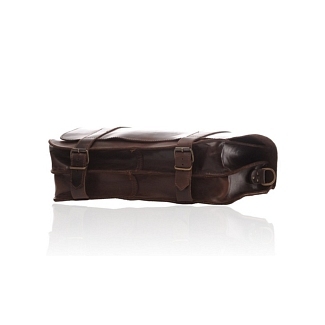 This leather messenger bag is from the Iris Luxury collection. 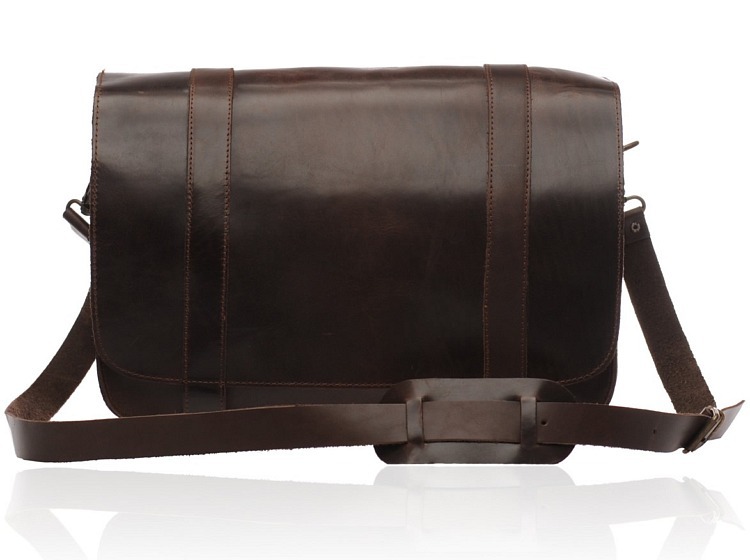 It looks extremely simple and has absolutely no designs on it at all.